If you fancy Arabic style outfits for grooms, here are some sample designs. This is a perfect groom outfit, if you, the bride, plans on wearing an Arabic jalabiya dress (Arab long gown dress) for your wedding. 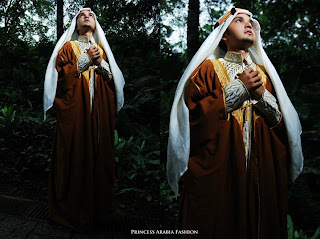 The Arabic wedding dress styles for grooms shown below are from Saudi Arabia. 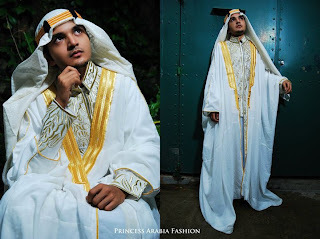 Saudi Arabian men wear traditional long dresses with head gear, and a square scarf for wearing over head at their weddings. 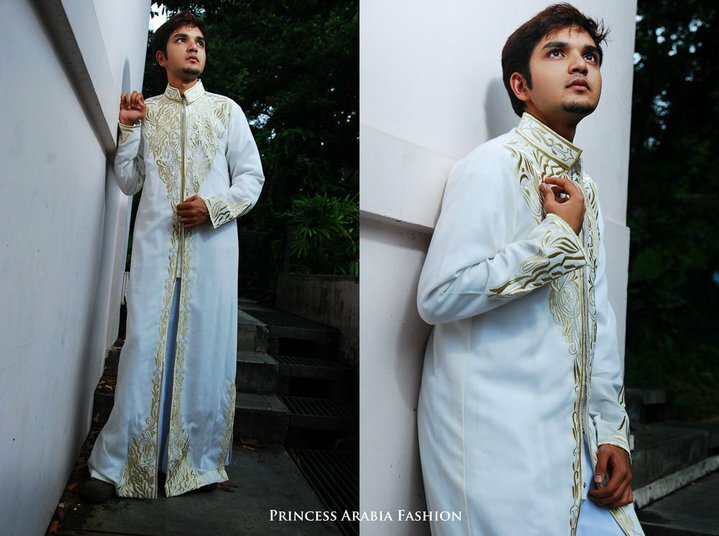 Note: These styles are available for rent from http://www.facebook.com/Princessarabiafashion.